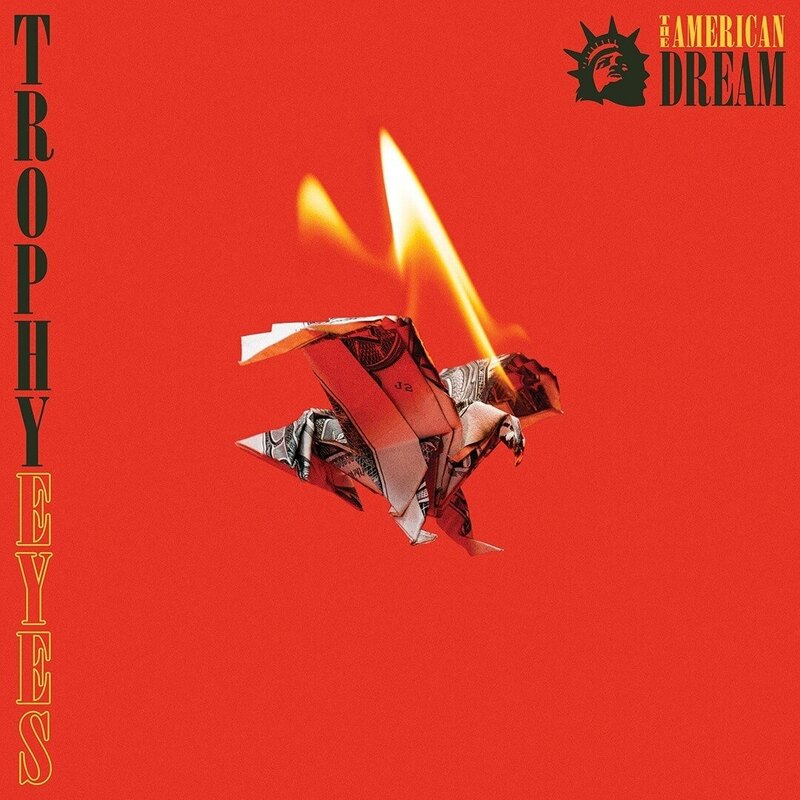 Australian punk band Trophy Eyes has done it again with their new release, The American Dream. The initial impression of the new album, for any seasoned fan of the band, will be that it is poppy, soft, or radio-oriented from the get-go. However, this is far from the reality of The American Dream. Though Trophy Eyes may have softened their sound, they have anything but soften their lyrics. Vocalist John Floreani is still writing about the same themes as before on this new album, including the pressure of being halfway through one’s twenties and wondering where their life is going. In contrast to their last album, which felt somewhat more abrasive in its lyric delivery, The American Dream as a whole feels more reminiscent and driven. Floreani shows he has gotten further into his journey through adulthood, and is facing new challenges and trials. He seems less lost in his experiences, and is more-so beginning to look back at his experiences as a means to combat his future. The first single listeners heard off of the album, “You Can Count On Me,” serves as a cheeky introduction to Trophy Eyes’ more matured sound, and their new album’s thematic content. 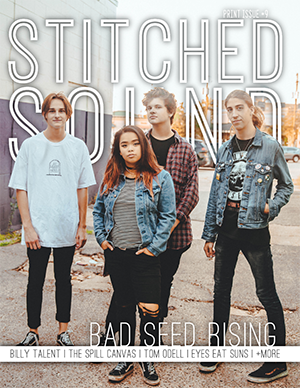 The track discusses the way the band still intends to make “sad songs,” just in a new way, and how they already know that not everyone will like them, but it is what it is. They are creating content that they want to perform, and they could care less how many people dislike it! Floreani even delivers a very tongue-in-cheek “sellout” joke in the track, “thanks to everyone who bought tickets to my shows, I put all the money that you spent right up my nose.” Some would not appreciate this implication, but Floreani is probably chuckling about it as we speak. Many times when artists “sell out,” people say they’re only “in it for the money” and putting out poorly done music. Floreani’s remark, that he’d be spending all of his “sell out money” on [snortable drugs], was cleverly stated and packed a quick punch from the very beginning. As far as similarities to the band’s prior release, Chemical Miracle, go, one of the most noticeable is John’s addressing of someone else’s suicide. In “Something Bigger Than This,” he addresses a man jumping onto train tracks and being killed, and then goes on to ponder how people were happy it wasn’t him. He then begins to question whether we, as people, are bigger than just our own experiences and moments. This feels strikingly similar to “Chlorine,” though sonically, the delivery is so wildly fresh and new. A place in the album where the band as a whole has grown significantly is their ability to incorporate new styles – the tracks “A Symphony of Crickets,”, “A Cotton Candy Sky,” and “Tip Toe,” though each is quite short, both have a melancholy glow surrounding them, perhaps because of their use of only an acoustic guitar and some string instruments, perhaps because of their slowed-down nature. “Tip Toe” very strongly resembles Floreani’s side project Little Brother‘s song, “Cleveland, OH,” in the sense that it discusses giving up a relationship to travel and tour, and the harrowing and frustrating moments that sometimes come with that. “A Cotton Candy Sky” wields pain and contemplation, discussing what feel like happy moments, but in a very soft and saddening way. 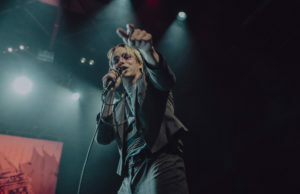 The track also features rain falling in the background, and “Crickets” includes crickets chirping as well – both of which just add to the already intimate emotions captured in these slowed down songs. The rest of the album feels very pop-ish and upbeat, with vibrant drum patterns, and has a quick pace overall. There are quite a few sets of gang vocals or choral vocals framing the tracks, making the album feel a lot more radio-paced than the band’s prior releases. The lyrics overall are also very radio-based, and, as the album title says, centered on the American dream. The American dream, often discussed as success, fame, and fortune, working from the ground up, is what the band showcases as their goal and recurring theme throughout the album. “Broken” and “More Like You” look at trying to grow as a person and learn from others’ experiences, following in their footsteps and trying to reach success. “Lavender Bay” echoes the line “I won’t sleep until all of Sydney knows my name,” and the final track of the album, “I Can Feel It Calling,” says “All I wanna do is take your hand and disappear.” The American dream is something that has been sought after by people for decades, and still is. 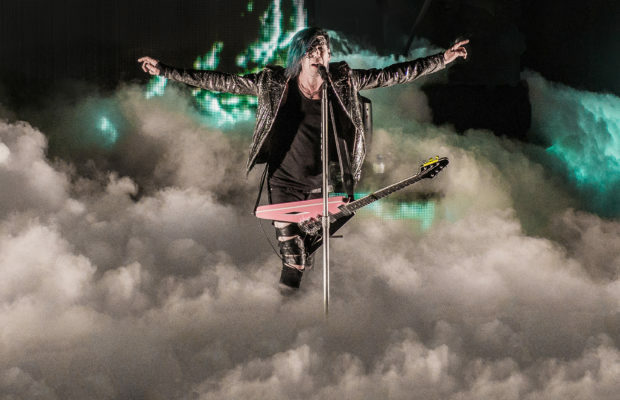 The band’s goals have always been headed in this direction, whether that be by growing in their sound, developing their lyrics, or just trying new things all around. They are, quite successfully, vying for their very own American dream on this new album.